This method is an efficient means of humanely taking large numbers of rabbits day or night in a short space of time. What is Longnetting for rabbits? Longnetting rabbits is somewhat of a forgotten art these days although very effective. Prior to the arrival of myxomatosis in the 1950’s it was a favoured method of control by many rabbit catchers. 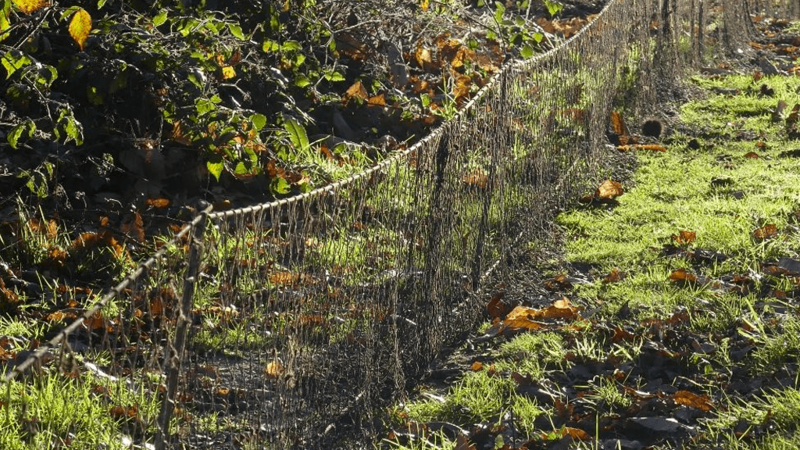 Large lengths of especially designed nets are strategically placed to trap rabbits as they pass from one area to another. Once trapped by the meshes of the net, they are humanely dispatched by one of our team. This method can be used during the day and at night, in a variety of circumstances with great results. This versatile method can be relied upon as a control method in a variety of situations which is why we use these nets daily. During daylight hours we often use them to encircle an area of thick vegetation, log piles, or around buildings during ferreting operations. Rabbits that are bolted by our team of ferrets become enmeshed in the nets, this style of working ensures there are no escapees. During rabbit drives, long lengths of nets are set in conjunction with the use of shotguns to maximise effectiveness. We also use these nets during harvest to encircle fields being cut so no rabbits can escape. Longnets are also effective when used correctly at night. As darkness falls rabbits leave the safety of their burrows and venture far out on grass and arable land, often travelling considerable distances in the search for food. This gives the Evergreen operatives the opportunity to silently set their nets between the burrows and the food source. Once the net is in position covering the required length, the rabbits are carefully driven homewards towards the waiting net. 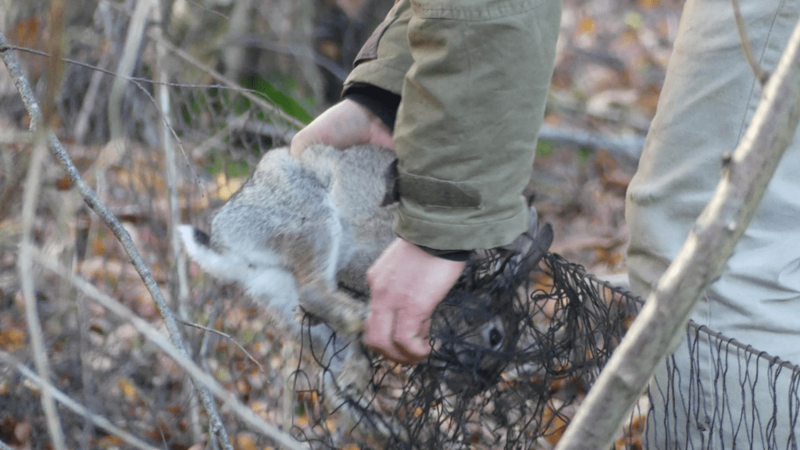 The slack in the net ensures any rabbits running into it will become entangled. Once caught, the rabbit is swiftly and humanely despatched by one of our operatives. This method of catching rabbits has the advantage of causing virtually no disturbance whatsoever, as no lights are used, and under the cover of darkness the job is carried out silently. At Evergreen we utilise this method daily with long lengths of nets that are handmade by ourselves for the job of rabbit control. Why you need evergreen for the job of Longnetting. At Evergreen we utilise this method of control daily across the UK. We work with long lengths of nets that are handmade by ourselves for the job of rabbit control. Using our own handmade nets helps us ensure maximum effectiveness for a variety of environments we work in and any that are likely to need our services. This environmentally friendly method also allows us to release any non-target species completely unharmed. On land heavily infested with rabbits we have removed hundreds of rabbits via this method in a short space of time. We use Longnets for rabbit control in a variety of circumstances across the UK daily. Contact us here or send us a email – info@evergreenrabbitcontrol.co.uk and find out more about how Longnetting rabbits can help you.